Posted April19, 2013. The mailman just brought my vitamin C order! Aren’t these boxes beautiful!! Ah… the little things in life to get excited about! I wake up every morning and take one of these packets on an empty stomach. 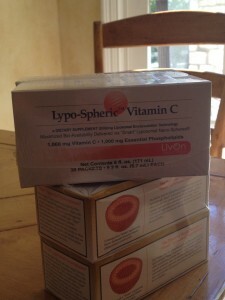 The company who makes this lyposomal vitamin C says to then wait about 15 minutes before eating for maximum absorption. 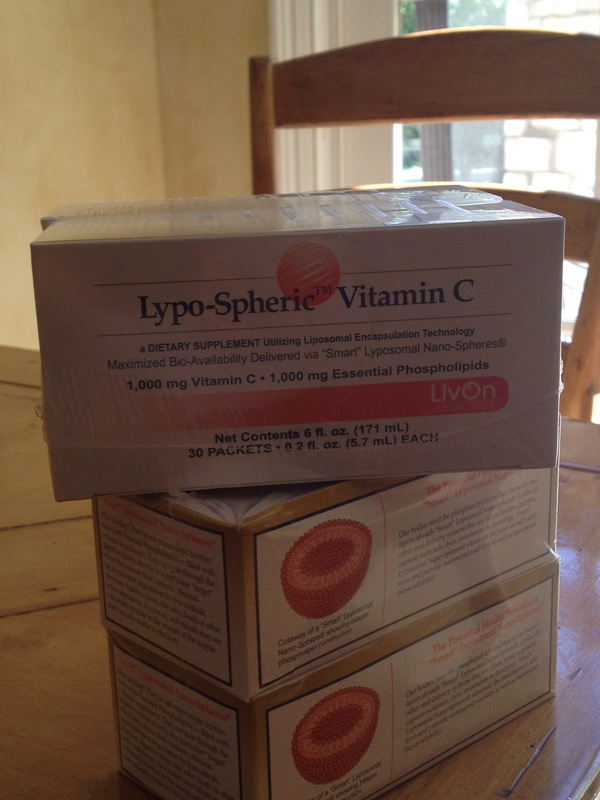 They claim this lyposomal form of vitamin C is as effective as doing an IV vitamin C drip. Incredible!! I know it’s tough because if you have Lyme symptoms and Lyme disease you are probably already taking a lot of other medications and supplements. But I think the extra trouble for lyposomal vitamin C is worth it! Hopefully you also read the post about how some LLMD’s are using it for Bartonella, a co-infection of Lyme disease. From Web MD: Vitamin C is one of the safest and most effective nutrients, experts say. It may not be the cure for the common cold (though it’s thought to help prevent more serious complications). But the benefits of vitamin C may include protection against immune system deficiencies, cardiovascular disease, prenatal health problems, eye disease, and even skin wrinkling. “Vitamin C has received a great deal of attention, and with good reason. Higher blood levels of vitamin C may be the ideal nutrition marker for overall health,” says study researcher Mark Moyad, MD, MPH, of the University of Michigan. “The more we study vitamin C, the better our understanding of how diverse it is in protecting our health and our immune systems. So, if you are struggling with Lyme disease, consider adding vitamin C to your regimen! This entry was posted in Lyme Symptoms and tagged vitamins. Bookmark the permalink.